The sign that reads, “Stop! Border ahead” is misleading and confusing. The valley of Marjayoun and the village of Ghajar lay ahead, the Tel Dan and Hazbani Nature Reserves are behind, and this is allegedly the border with Lebanon. But opening the heavy gate only begins to describe the story of the network of mountain ridges between the Galilee Panhandle and Mount Hermon. After crossing the gate, the convoy of armored jeeps began up the back path to avoid anti-tank fire from Hezbollah. 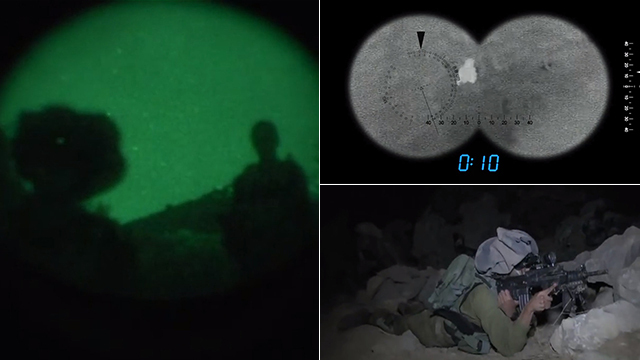 A Ynet team joined them a week ago for rare coverage of Golani soldiers’ lying in wait in an Israeli enclave in the most volatile area of the border—Mount Dov. There is no fence on the disputed border on the isolated mountain, devoid of any Israeli communities. In fact, there are no physical barriers that separates between the combat brigade’s soldiers and Nasrallah’s men before them. Amongst the high thickets and lush vegetation, a Hezbollah “playground” is revealed. This is where, according to assessments, the Third Lebanon War could break out. Over the last 50 years, the mountain has seen hundreds of deaths from both sites, soldiers’ kidnapping, thousands of mortars fired, serious exchanges of fire and countless roadside bombs—a never-ending sense of the battlefield. The verdant mountain is named after the late Capt. Dov Rodberg, a Golani company commander who fell there in 1970 in a battle with Fatah militants during a rescue operation for a wounded soldier. Over the years, Hezbollah has marked the mountain as a preferred location for attacking IDF troops, and in recent years, the place has become an arena of confrontation between the army and the Shiite organization. 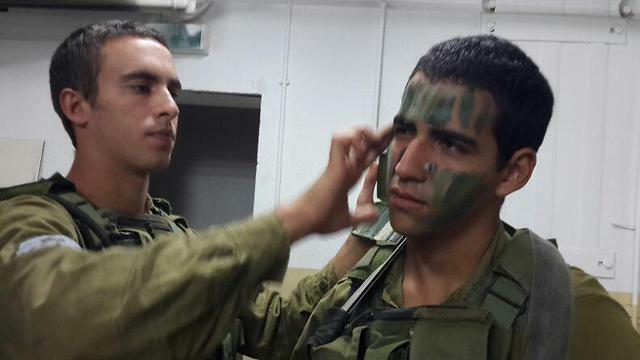 In January of last year, Givati soldiers Maj. Yochai Kalangel and Staff Sgt. 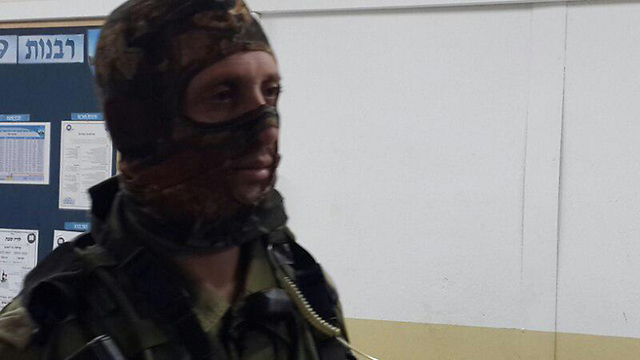 Dor Chaim Nini were killed on the mountain’s slopes by anti-tank missiles from Hezbollah. The Lebanese organization has also laid a series of roadside bombs in the region for years. This is its way of avenging the assassinations of senior Hezbollah leaders that foreign reports attribute to Israel. Hezbollah’s preference for operating on the mountain comes from two principal reasons. The first is the legitimacy of attacks in a disputed area that has no Israeli civilians. Most parts of the border (marked by the Blue Line) were marked by the UN Security Council resolution that ended the Second Lebanon War. The second is the IDF’s relatively limited control of the region due to its complex topography. There’s no barrier or fence there. Boulders, knolls, valleys and mountain ranges make it a complete above-ground tunnel network where penetration is more possible than in other areas. The IDF is aware of these problems, and the Northern Command has those who criticize the fact that resources have not been invested in establishing a serious barrier along the border. However, the IDF set up concrete blocks at a few locations over the past two years and blew out engineering paths supposedly marking the border. According to all assessments, Hezbollah is not interested in a war with Israel in the foreseeable future, partly due to its bloody involvement in the Syrian civil war and the deterrence that still echoes from the Second Lebanon War. Notwithstanding that, something has changed over the past three years. The attacks that included the use of explosives and anti-tank missiles, self-confidence and the rich operational experience that Nasrallah is obtaining in Syria and Iraq have led to a certain degree to a crossing of the Rubicon. The previous IDF chief of staff, Benny Gantz, said in reference to the wind blowing from the northern border that the likelihood of war is low, but the likelihood of deterioration due to misunderstandings in specific incidents had grown. 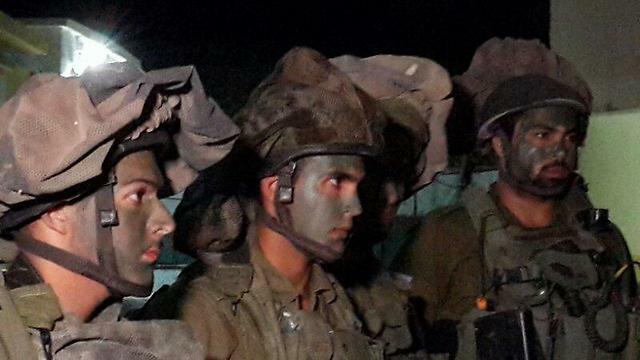 In the opinion of Lt. Col. Yair Peli, the commander of Golani’s 13th battalion that is currently responsible for the Mount Dov district, the deterioration that will lead to war could take place tomorrow morning. Without any warning, from the front yard of the Galilee Division. The battalion commander’s words were spoken in a whisper in the dark of a night with nearly no moon while he leaned on a rock. The potential ambush that his company commander, Capt. 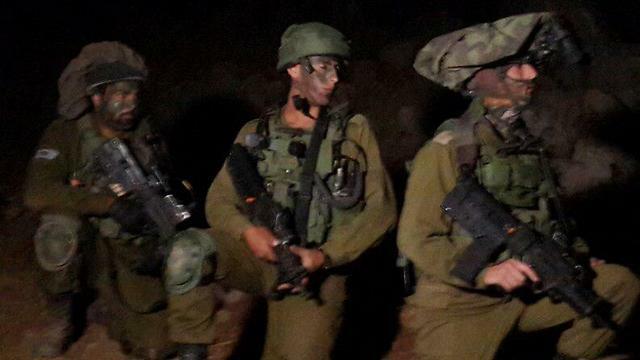 Shma’ur Ben Shitrit, is leading was at the preliminary stage of its operation, when its soldiers were silently taking their positions, setting boundaries in case of an encounter, studying the terrain, smelling the ground and letting their eyes adjust to the darkness. 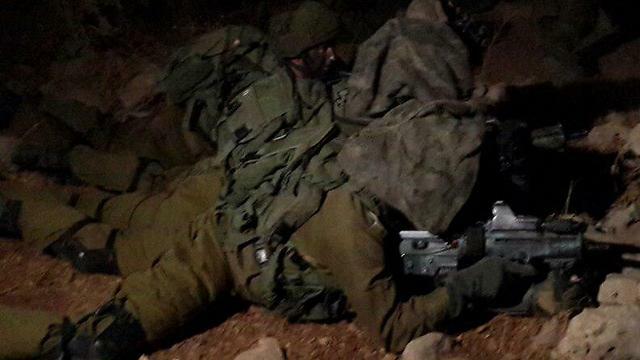 They’ll be there for at least 12 hours, near the village of Shebaa, merely a few hundred meters from Hezbollah. No fence separates the combatants. A navigation error by one of the commanders leading the force could expose them on Lebanese territory. The potential ambush area is located in one of several operationally weak points, “dead” areas where the Northern Command believes that Hezbollah penetrates to lay roadside bombs, set up fighting positions hidden in vegetation, and collect intel on the IDF. “It’s definitely possible that Hezbollah was here last night or that they’re in the area now,” the battalion commander said. Above him were cover and rescue forces in Namer APCs and in tanks, which were stationed a few hours earlier. Viewed from the side, and also from the feeling that comes from conversations with the commanders, the operations in the area are considered the most difficult, perhaps constituting even the most depressing service at this time, especially for junior officers. In Ramallah and Hebron, soldiers are prepared for daily encounters with attackers wielding knives; outside of Gaza, soldiers see the whites in the eyes of armed Hamas militants; and along the Golan, they don’t need binoculars to face ISIS. It’s in the area with Israel’s enemy number 1, according to the chief of staff’s definition, that service has become relatively quieter and more secure. During the long hours of the lying in wait, which slips into daylight, the commanders made efforts to keep the soldiers alert, even though the chance of an encounter is small. Initial excitement was felt at the beginning, when the force found something with writing in Arabic. The meaning is clear: At least one Lebanese person was in this Israeli enclave recently. The finding would be checked later on by intelligence officers, but the operational tension had to be maintained in the opinion of Peli and Ben Shitrit, until packing up, and even afterwards on the way back to the outpost. However, there must be no easy trigger fingers. The soldiers understand that every one of their mistakes, misidentification or harm to civilians from the adjacent village could ignite the north within hours. “If we identify an enemy that dares to come, then we’ll surprise and destroy him,” said the battalion commander to soldiers in the summary briefing before releasing them to the mess hall in the Gladiola outpost. “0 or 100,” they call it. It seems that there’s a scale at all, the dial hasn’t been near zero in a while.